Jeff Dunham, a ventriloquist and stand up comedian is making his first appearance to the Bradley Center in Downtown Milwaukee next Thursday February 4th at 7:30pm. 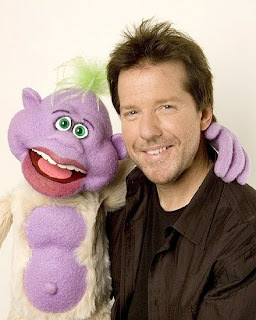 He's most noted recently for his hit show on Comedy Central titled "The Jeff Dunham Show". My sister and brother-in-law are huge fans of the show so I decided to check it out one night. He does many skits with multiple 'dummies' that he talks through in a multi-personality disorder way. It was actually quite funny! I told my sister he was coming to the Bradley Center and that she better get her tickets fast because they are going quick! I know he has a huge fan base here in Milwaukee so it should be a great show!